Last year’s ode to 2007 was full of fun, music and good times – this year my 2008 highlights all have to do with text: books and the internet. It’s all I’ve had time for this year. (Full-time work has been the bane of my 2008 existence, crimping my lady of leisure lifestyle and forcing me into the rigid schedule of the rat race. I would have probably adapted to this new lifestyle if I’d had more experience with the 40 hour workweek but I’m happy to say this was my first year enduring this drudgery. Why did the Haymarket Martyrs settle on 40 hours a week? Couldn’t we have taken it down to 25? There’s a project for future anarchists!) Enough of my whining, on to books! I started the year brushing up on Los Angeles history. 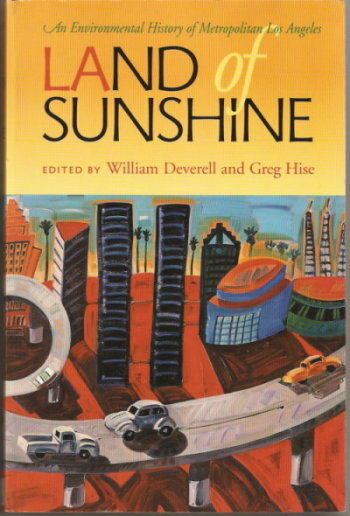 Of the six or so titles I read and perused, my favorite was Land of Sunshine: An Environmental History of Metropolitan Los Angeles edited by William Deverell and Greg Hise. My favorite chapter was The Los Angeles Prarie by Paula M Schiffman. Did you know that much of Los Angeles was difficult to traverse owing to the thousands of squirrels and ground animals that honeycombed the ground with holes and nests? Grizzlies also contributed to soil disturbances by clawing up great mounds of earth as they searched for buried food: mice, grubs, roots etc. Bears played a pivotal role in the early ecology of Los Angeles, so much so that without them, it’s impossible to recreate a pre-European Los Angeles environment. As for the Tongva, they practiced what’s been termed as “paradise by design” – a careful manipulation of plant and animal life that suited their needs while sustaining the reproduction and balance of life around them. It was all pretty good until the Europeans came and enslaved the Tongva, wiped out the grizzlies and paved the river. Thanks, guys! Los Angeles matured, at least in part, by covering up places, people, and histories that those in power found unsettling. Los Angeles became a self-conscious “City of the Future” by whitewashing an adobe past, even an adobe present and adobe future. 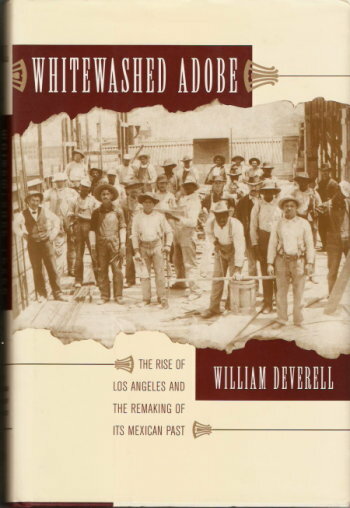 That whitewashing was imperfectly, even crudely, accomplished – adobe yet showed through – but it was nonetheless a way by which White Angelenos created distance (cultural and personal) between themselves and the Mexican past and the Mexican people in their midst. Los Angeles is not so much a city that got what it wished for. It is a city that wished for what it worked diligently to invent. And that inventing in part entailed what this book is about, the whitewashing of other stories, other cultures, and other people’s memories on the landscape. It’s this whitewashing and reinventing of Los Angeles by those who chose knowingly or unknowingly, to erase the history of Los Angeles’ Mexican and ethnic past, that led to the creation of a new project this year: LA Eastside.